It’s been a transfer window full of surprises, and Roma could be set to carry on this trend. Roma are eyeing move for RB Leipzig winger Emil Forsberg, according to the football transfer rumours in Italian media. The Sweden international was signed by RB Leipzig in January 2015 from Malmö FF for a fee of 3.7 million euros. The 26-year-old has a contract until 2022 with the club. Emil Forsberg made 112 appearances across all competitions for RB Leipzig, scoring 21 goals and supplying 37 assists in return. He’s incredibly experienced for a 26-year-old and still has tons of room for growth. As a member of Sweden national football team, Forsberg won 41 caps and he scored 7 goals. His performances have seen him become the target of many European clubs including Roma. Roma shortlist Forsberg as transfer target this summer. The Italian giants have built a reputation for recruiting talent from within Europe, predominantly targeting those with sell-on value and immense potential. Emil Forsberg has the talent to play many roles in attack. A big money bid from Roma could tempt RB Leipzig into selling their prized asset. 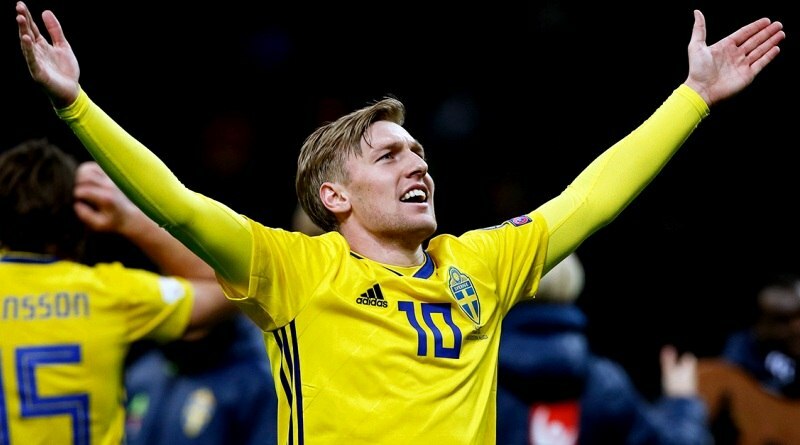 Emil Forsberg is also being watched by Everton. Roma fans would certainly love to see him arrive at the club this summer.